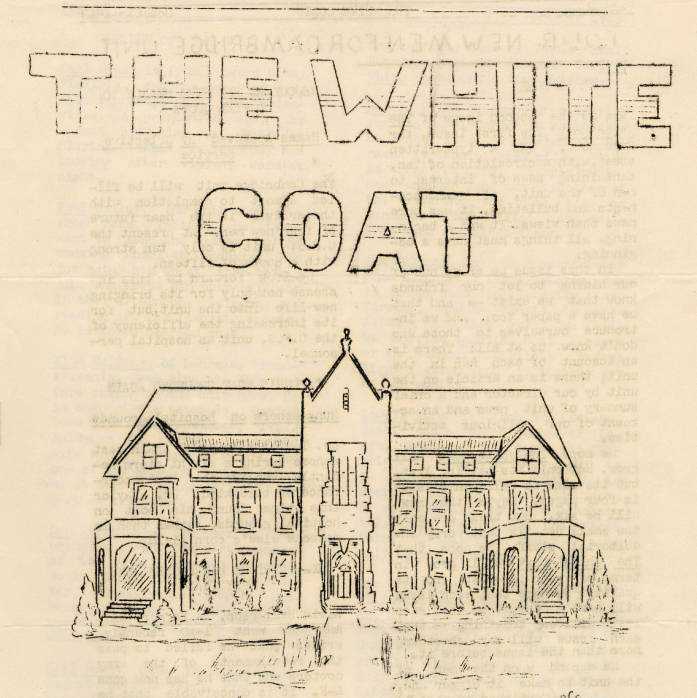 The White Coat was a newsletter published by the men of Camp 74 from October 1943 through June 1944. "The Long Term Possibilities of Mental Hospital Service"
CPS Unit No. 74, a Mental Hospital unit located at Eastern Shore State Hospital in Cambridge, Maryland operated by the Brethren Service Committee, opened in December 1942 and closed in July 1946. From November 15, 1944 to March 1, 1946, the American Baptist Home Mission Society administered the unit. The majority of the men served as ward attendants. Men in Brethren Service Committee units tended to report a mix of Brethren and non-Brethren denominational affiliations when entering CPS. Some of the men were married. The majority of the men served as ward attendants, although some also served in clerical, agricultural, maintenance and construction, motor vehicle operation, technical and professional or food preparation roles. Eastern Shore State Hospital COs worked sixty-three hours per week in 1944, reduced to fifty hours per week in 1945. The men published a camp newspaper called White Coat beginning in October 1943 and continuing through June 1944. The CPS men lived in single or double rooms in the hospital. The hospital provided some housing for married COs.